People were leaning on a building off the Real Guadalupe, looking up. 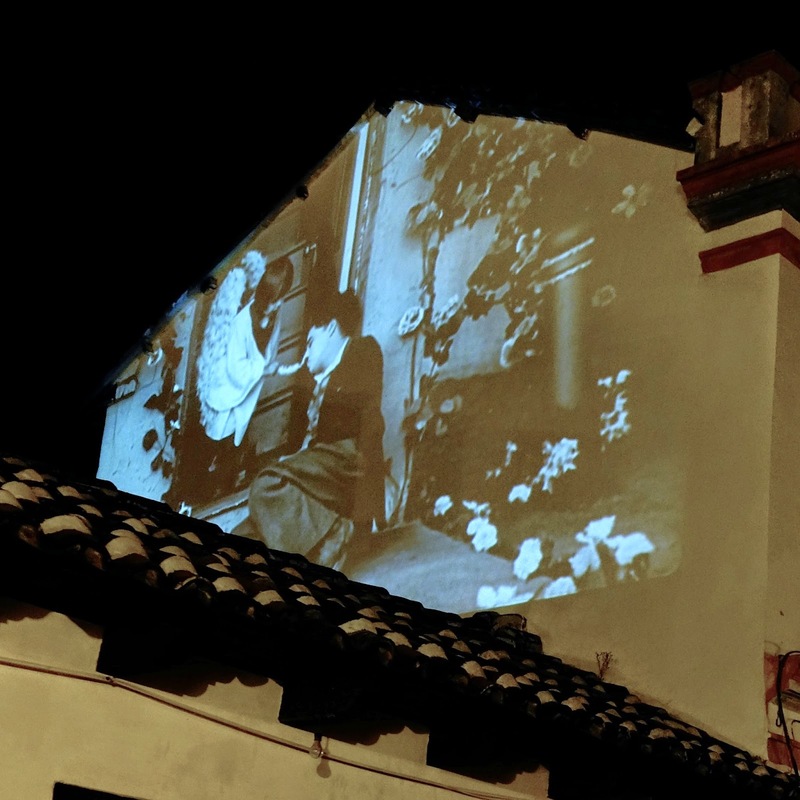 Someone was projecting a silent film on a blank, second story wall, a marvel. Jackie Coogan’s pitiful stare at the policeman coming to us across a century. Then there was Edna Purviance, twenty feet tall. Finally the tramp. I never realized how often in that movie he made himself small, so placed off-center. We laughed in four or five languages as The Kid tickled him under his nose to go purchase his new wings. Seeing Chaplin up on that wall, so many, many years after the actual actor itched at his angel’s wings makes you feel as though the common human arena is love. Link to Chaplan's 1921 Movie, The Kid. Chasing the Wolf Tone by Rolf Yngve is licensed under a Creative Commons Attribution-NonCommercial 4.0 International License.